The kind of bond and friendship between �Ulaganayagan� Kamal Hassan and superstar Rajinikanth, seems to be a lesson for today�s generation. At Vijay TV�s Ulaganayagan Kamal 50 event, they showed the world that they are not only best of friends but also sincere to each other. First and foremost Rajinikanth who is very choosy about the functions he attends, promised to come for it. He came at the appointed hour after a busy days shoot for Endhiran, and sat through the entire function (5 hours 15 minutes) where speaker after speaker was singing hosannas about Kamal. 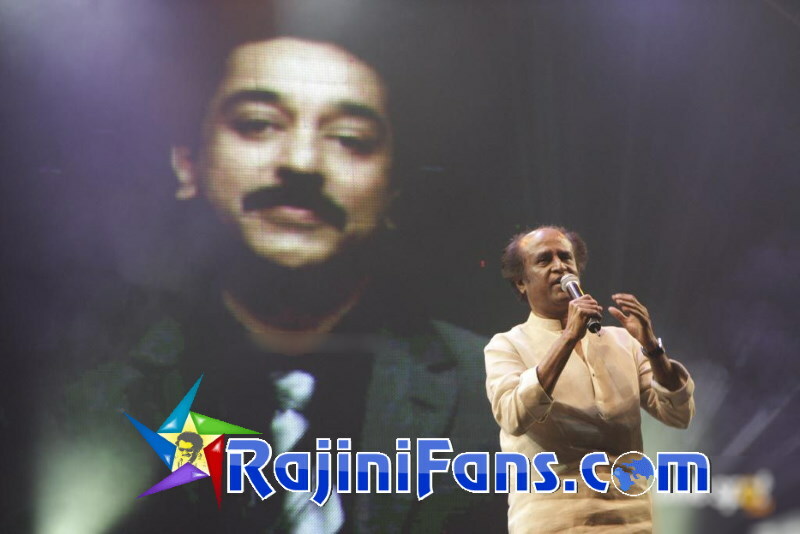 Rajinikanth in his speech referred to Kamal as �Kalai Ulagam Anna. Rajini added that he has enough material to speak on Kamal�s achievements for two days and in 1975 when he joined movies Kamal was already a very big star and could have easily overshadowed him in the 10 odd films they did together. � He never interfered with my character or tried to cut me down in any of the films we did together. Please note as a star he was much bigger than me and any director would have gladly chopped my role or refused to cast me, if Kamal had asked them. But after Ninaithale Inikkum, he called me and told me that it is better for my growth as a hero if we do not work together, and I gained by it,� was Rajinikanth�s simple straightforward explanation. He remembers the time when KB chided him for going out to have a smoke, at a time when Kamal was doing an important solo scene. KB in fact told him that by just observing Kamal, he could learn what acting is all about. 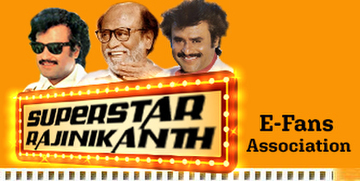 Rajinikanth also said that the path they took in cinema was two different routes, so they never clashed.